A river runs through it ! 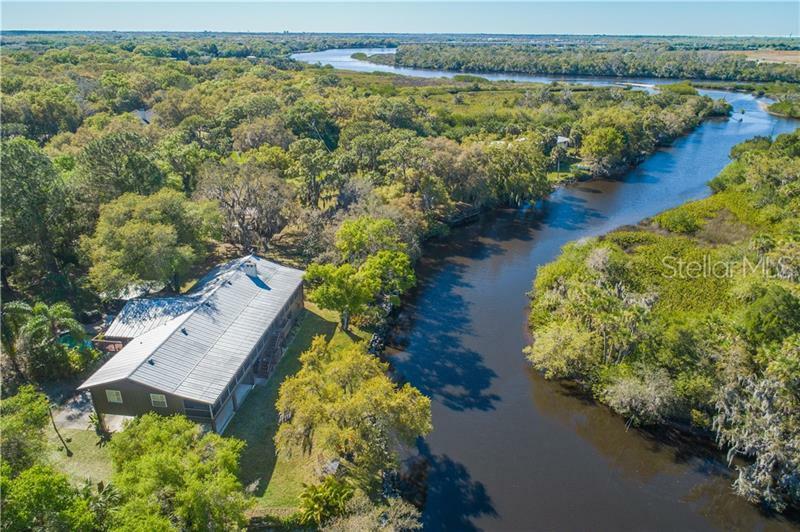 Nestled in âOld Floridaâ on the Manatee River you will find this immaculately remodeled 3 bedroom 2 bath home on nearly 4 Acres with over 1000 LINEAL FEET of RIVER FRONTAGE and a private boat ramp. The "Ramblin River Retreat" has expansive water views from all angles of the living dining kitchen and upstairs areas through the cathedral windows & the wrap around porch. The attention to detail in this complete remodel is evident throughout with the designer crafted lighting fixtures beautiful cabinetry wood kitchen counters farm sink modernized fireplace wood-beam ceilings and shabby chic farmhouse dÃ©cor. Natural light comes into every room. Enjoy the beautiful River wildlife of manatees dolphins fish colorful songbirds and other water habitat species. It is so quiet and peaceful yet just minutes from restaurants and shopping. NO CDD NO HOA NO RESTRICTIONS bring your boat RV 4 wheelers OR what ever you like. Conveniently located with ease to interstate I-75 Sarasota Airport and Trip advisor's number 1 Beaches in the world Siesta Key & Clearwater Beach. Adjacent are 2 additional River Front optional properties for sale totaling 12 Acres (including this site). Parcel 12705 UMR Dr. is 5 Acres with a 3439 SF pool home and parcel 12651 UMR Dr. is 3.7 Acres with a 1008 SF cottage.